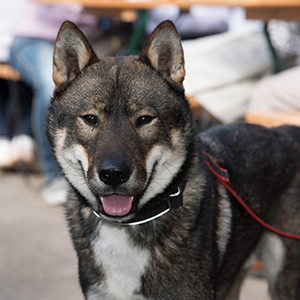 Also known as Kochi-ken, Mikawa Inu, or Japanese Wolfdog this native and primitive breed from Shikoku Island shares quite a bit in common with its close relative, the Shiba Inu. 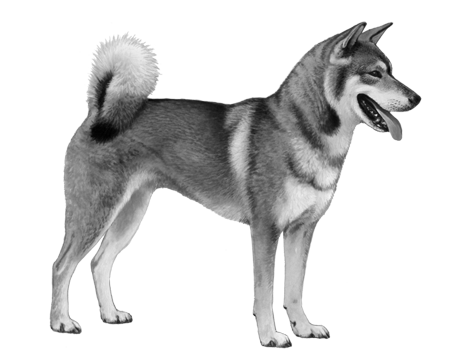 The Shikoku was bred mainly for hunting deer and boar in the mountain districts of Kochi Prefecture and is referred to as a boar hound. 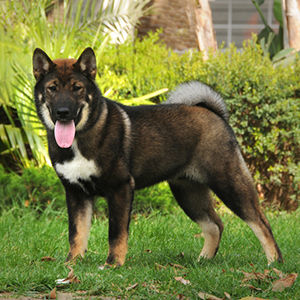 This breed has recently been recognised by the American Kennel Club as an AKC FSS (Foundation Stock Service) and has also been officially recognised by the Japan Kennel Club. 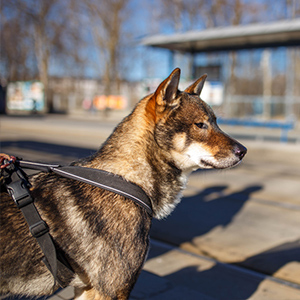 A very graceful and stoic looking dog—typical attributes of the Spitz-type dogs—the Shikoku Ken is of medium stature and conformation. 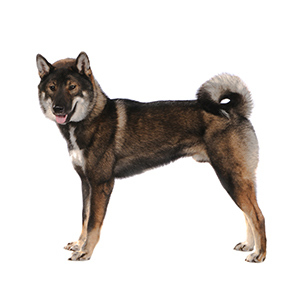 Features such as their wedge-shaped head, prick triangular ears, feathered curled tail, and almost fox-like tapered muzzle will immediately remind you of the Shiba Inu. Their outer coat is rather harsh and straight, while the undercoat is soft and dense. 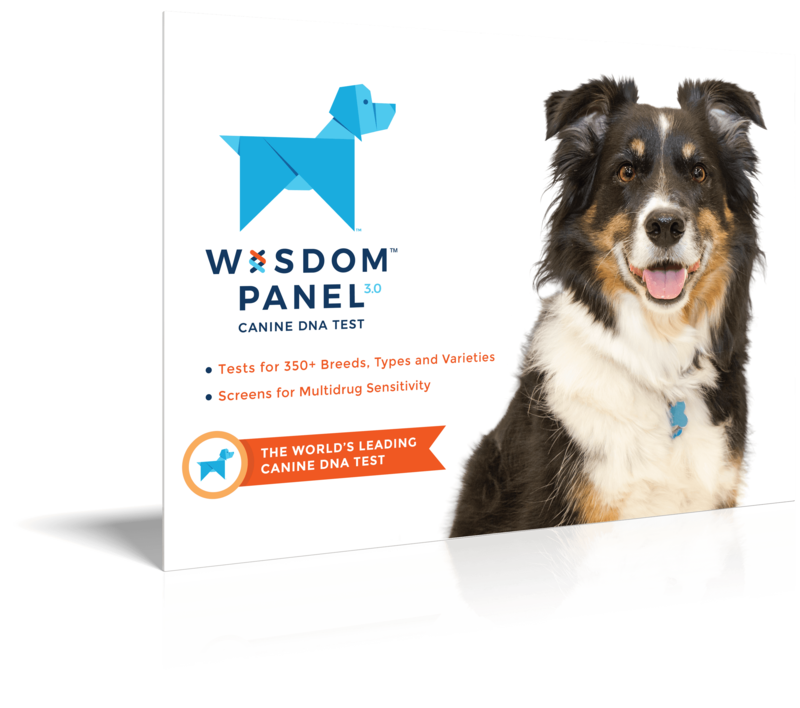 The breed standard in colouring calls for sesame (red and black) while the black and tan or cream are considered the nonstandard colour. There is also a “cream” colouring that tends to be very rare. In all of these variations there is usually a mixture of white found around the underside of the body, near the eyes, snout, and legs.